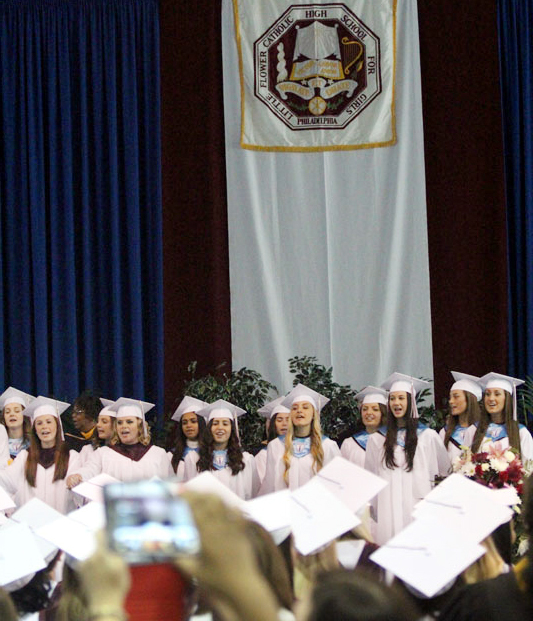 The ladies of Little Flower sing their Alma Mater together one last time as students. 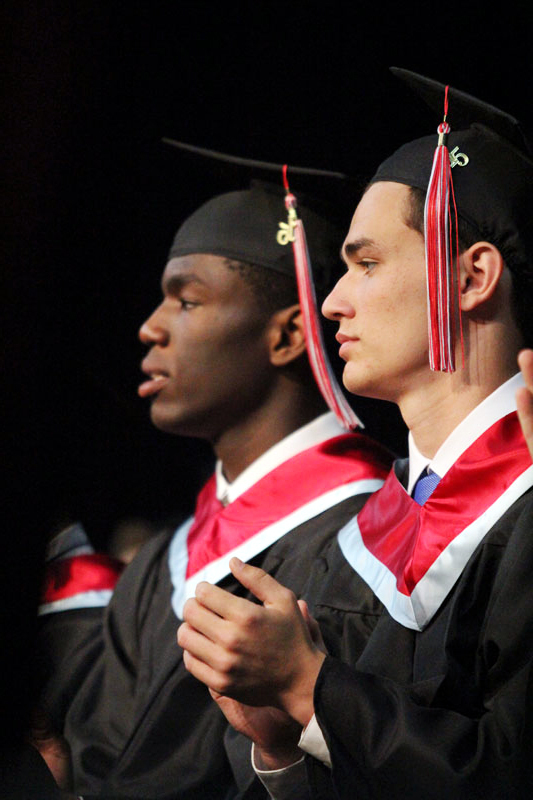 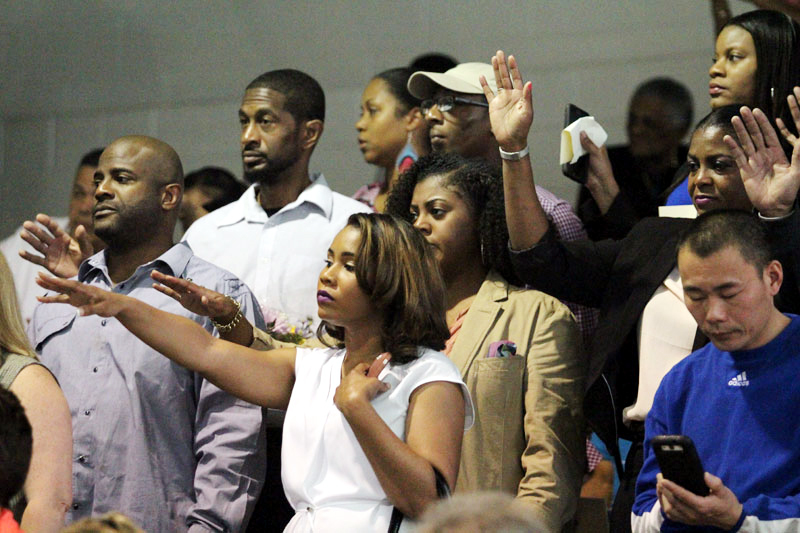 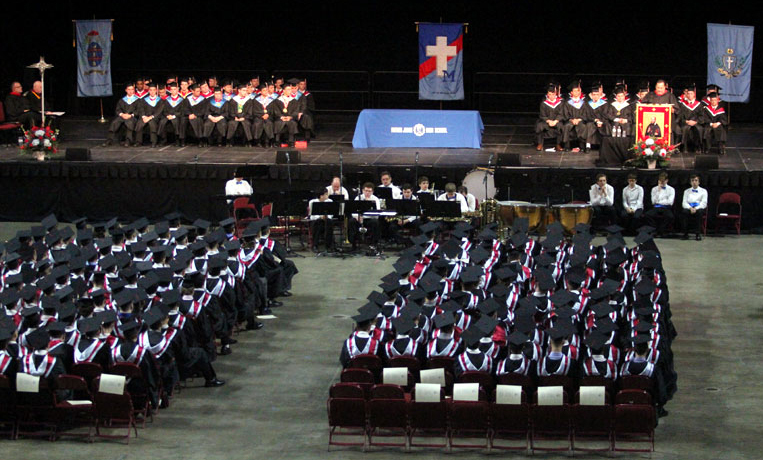 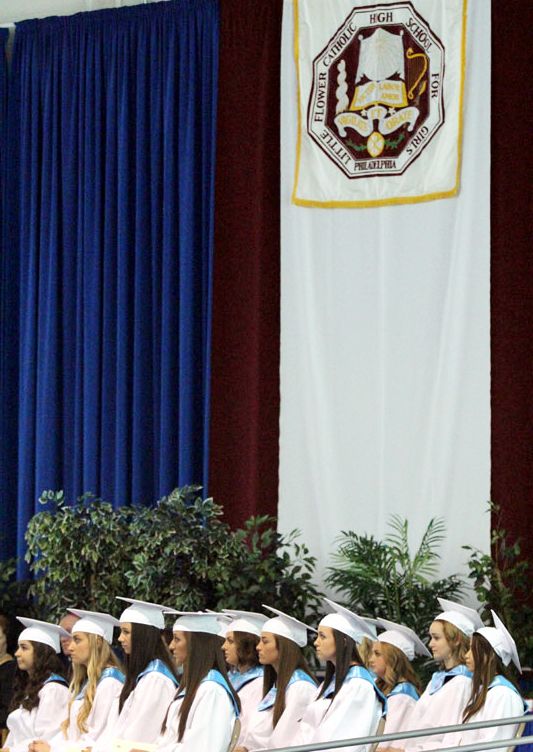 At the beginning of graduation, the parents extend their hands over their children in prayer. 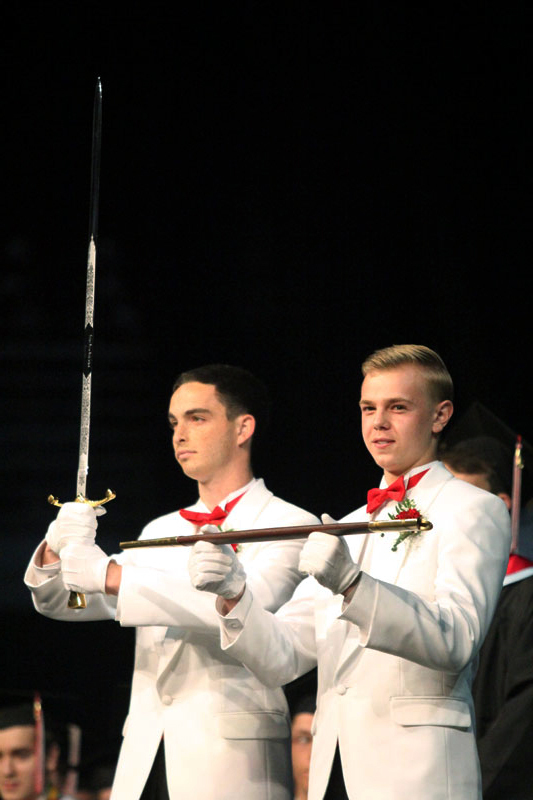 Father Judge’s incoming class officers receive their ceremonial swords from the outgoing graduation officers. 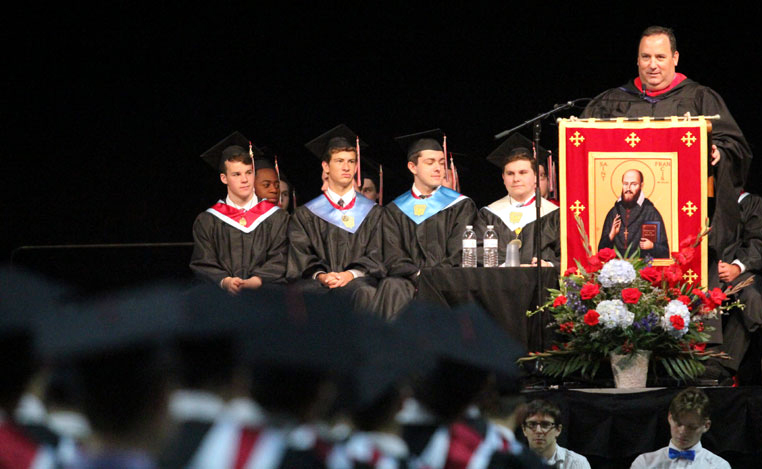 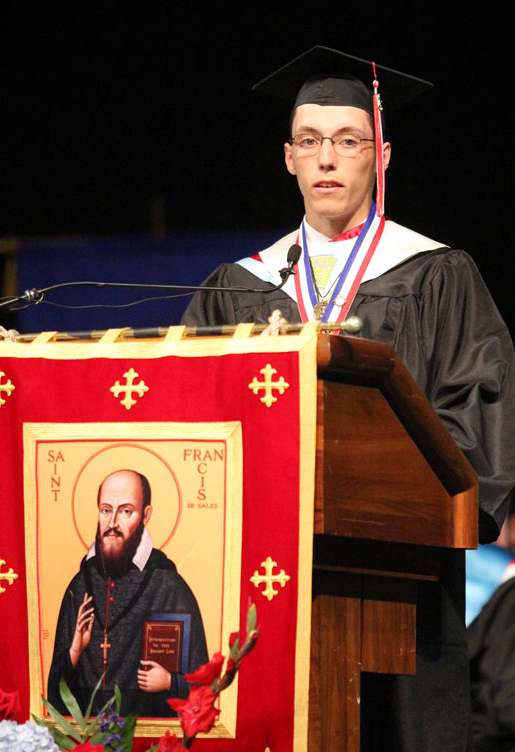 Chris Mominey, secretary for Catholic education for the Archdiocese of Philadelphia, addresses the Father Judge graduates. 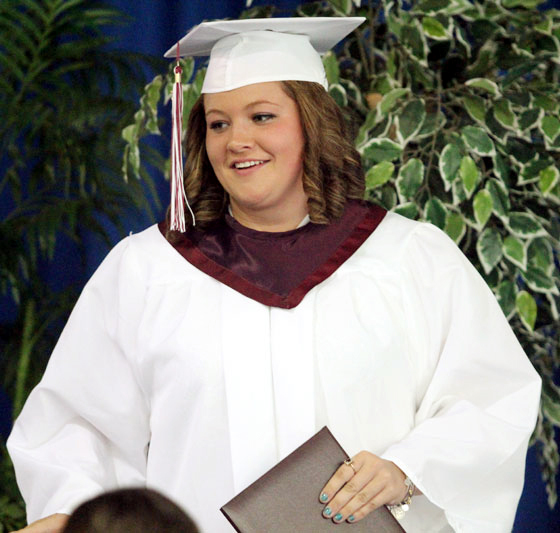 Amber Adair with her diploma. 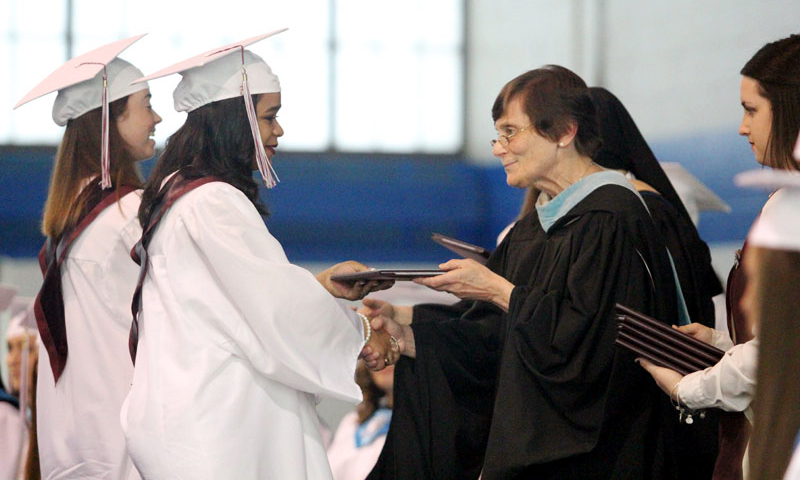 Sister of Mercy Kathleen Klarich, principal of Little Flower, along with Immaculate Heart Sister Donna Shallo, president, present diplomas to the graduates. 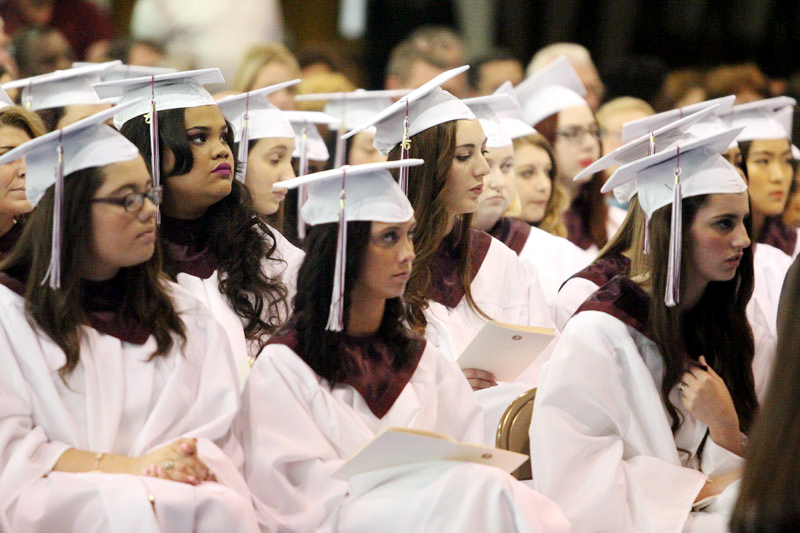 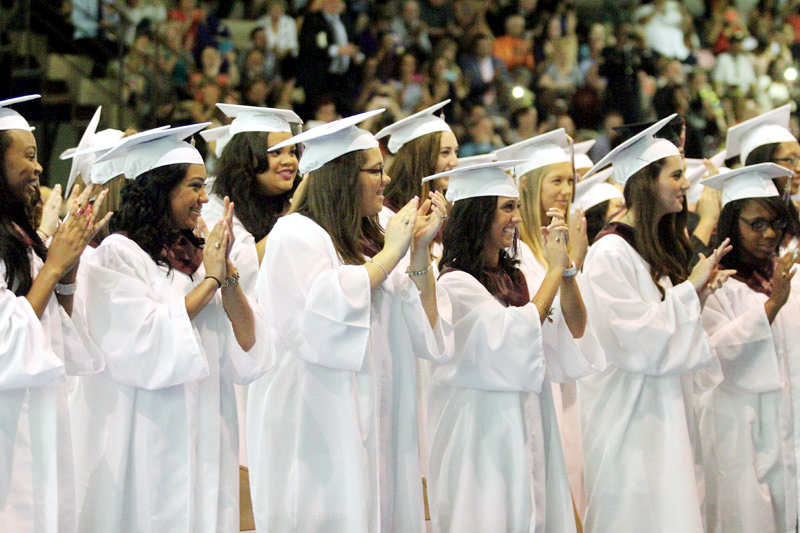 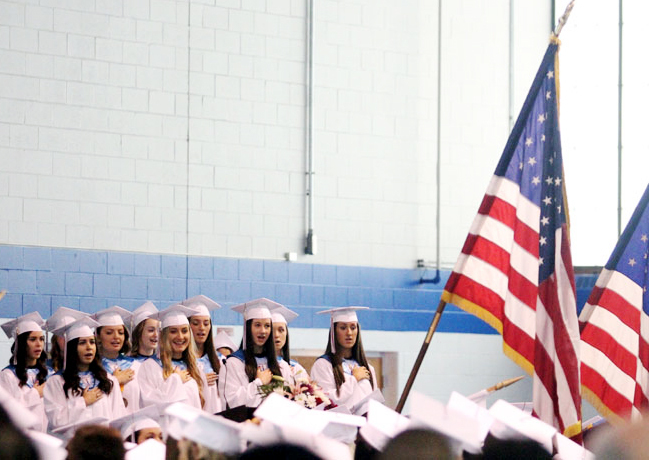 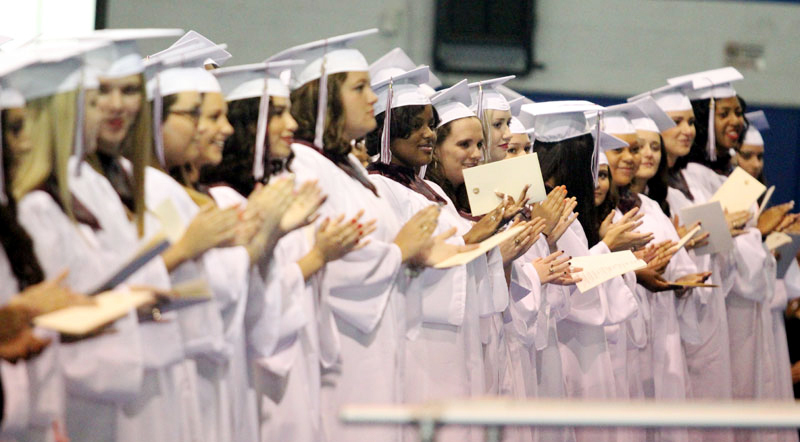 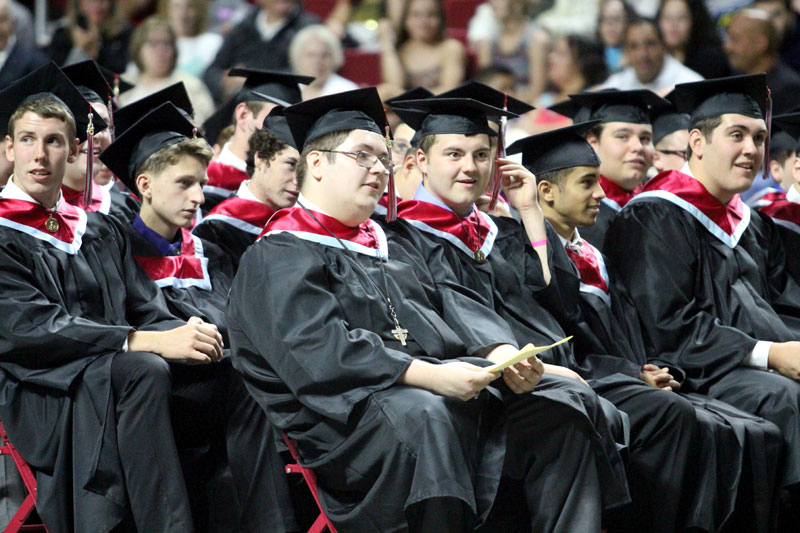 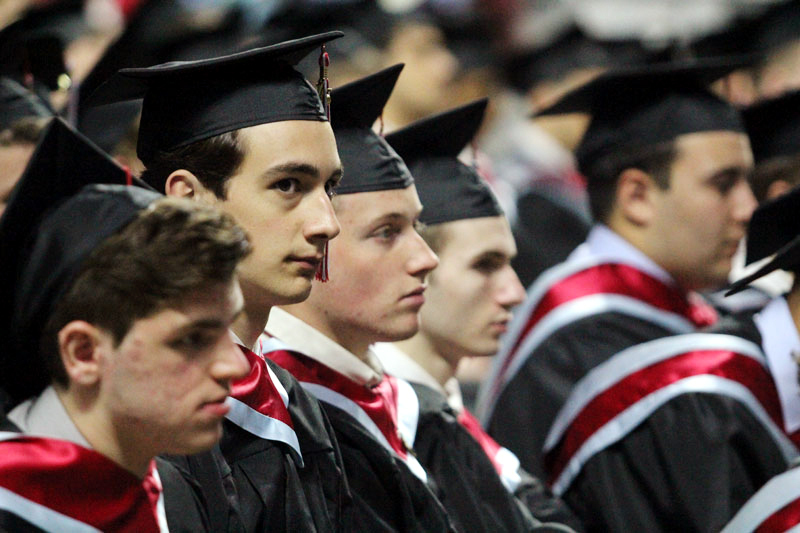 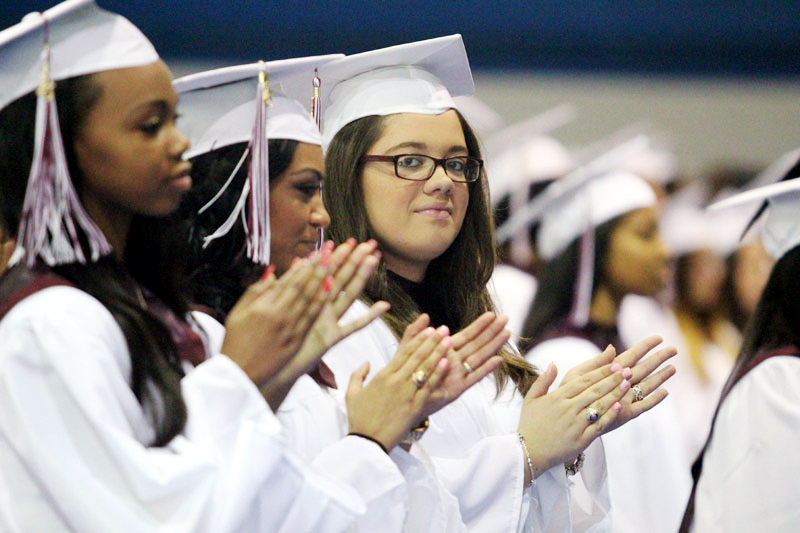 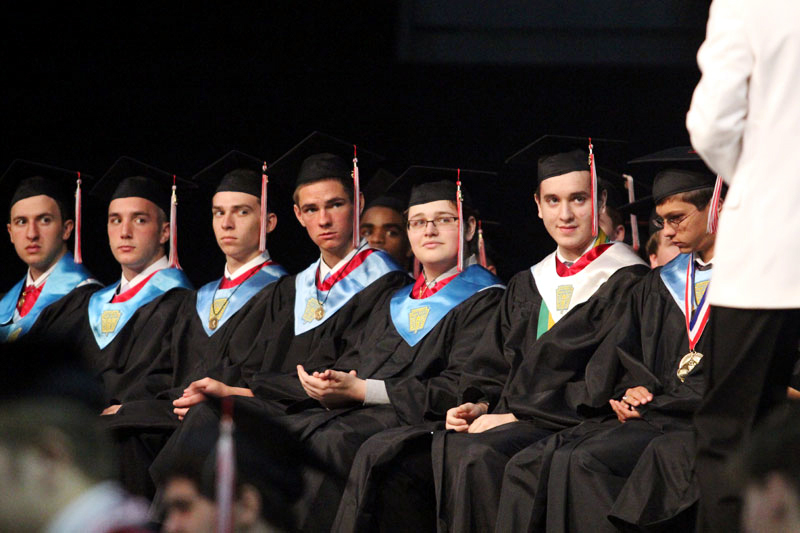 Little Flower’s Class of 2015 graduates follow a long tradition at the school of switching their tassles from one side to the other.